Shamanic healing can help many people in our culture experiencing varying degrees of chronic depression and illness, addiction, dissociation, post-traumatic stress syndrome, or just plain chronic bad luck. Few of us would attribute these symptoms to spiritual imbalance or disharmony caused by traumatic or painful events. Left unresolved, this wounding of our life-force or spirit may lead to mental, emotional, and/or physical illness. Connecting you to a power animal Cord cutting and clearingHealing wounds from past livesAncestral healingInner child healing. Personal messages from your guides to Circle of Light! We are here to share with you. These event assure us that each of us is known and deeply loved by our beloved Creator. Universe is calling now to every being on Earth to open the heart, our heart of Love, to existence at this powerful moment of spiritual awakening on Earth. The heart of Love is the true instrument of perception. As we open the heart not only do we draw reflections of the heart of Love into our daily lives, but our heart of Love becomes a magnetic field for entertaining the heart of Love of all of humanity. 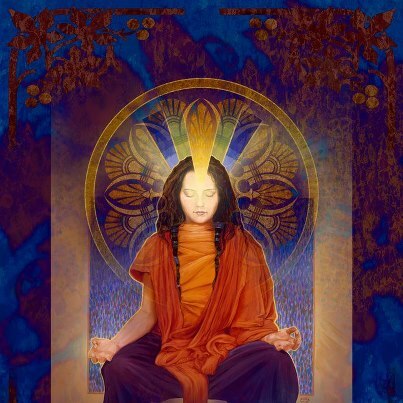 We become pure conduits for the Light and Love. We at Circle of Light have been directed to offer Heart Activation, for anyone who desires to expand the opening of his/her heart more fully to receive this increasing influx of Love. Things to bring: your intentions for healing the world and your selves. Learn how to connect with your guides to gain insights for yourself and your work. Meet your constitutional guide, tracker, and protector guide. These guides will help you as you learn to access information at the level of the soul. Gain a basic understanding of the process needed to facilitate the release of emotional wounds. Together we will focus our intentions to bring healing energies into our lives and into the world to help heal our planet, our community and ourselves. See the beauty of coming into right relationship with light energy. 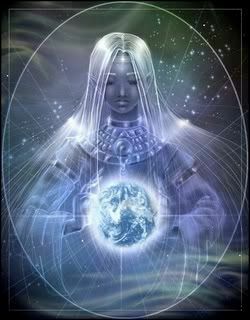 See from the level of the sacred or mythic and the world of pure energy. See how archetypal patterns inform and transform our perceptions and the collective unconscious. Learn how to hold space and be a sacred witness for people during the process of transitioning. Shamanic are powerful paths to healing. This is open to everyone interested in energy healing and those who want to heal themselves, others, and our relationship with the planet. Experienced practitioners learn new skills and approaches to shape shifting energy. Beginners receive an experiential introduction to the profound healing qualities. Come join like-minded people as we enter the prophesied time of universal healing. Zaki is the most sought after Reiki practitioner at the largest meditation resort in the world, in Pune India, where she goes every year for 4 months. She also teaches Reiki in Europe for several months each year and maintains a large international clientele. Because of her excellent reputation, she is being requested now by centers all over the world; in Germany, Italy, India, & UK.For over 27 years. In addition to teaching meditation, it is her full-time occupation. It is her life. She integrates it into everything she does. 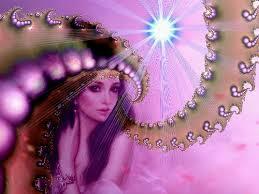 She has given over a thousand healings and several hundred Initiations in her lifetime. 2. Training/Qualifications: Reiki training can vary widely. Ask the Reiki Master who they learned from, and what their teacher’s qualifications were. Ask them why they chose their teacher and how many attunements they received during the Initiation. Another point to consider is lineage; how close they are to the original source (Mikao Usui). The further away from the source, the more distorted the teachings can become. And always ask to see their certifications and what they do to learn more about Reiki. Zaki giving initiations into the first, the second and the master degree of Osho Neo-Reiki and creating the trainings for metaphysical energy work. She has also helped heal others of many serious diseases, including cancer. One client had two brain tumors. He was scheduled for brain surgery to remove them. But after multiple sessions, the tumors disappeared and he cancelled the surgery. Of course, there are no guarantees, even with modern medicine, that similar results can be obtained in every case. Always consult your doctor before embarking on any healing regimen. Release your tension and stress- feel love and peace within-enjoy life!